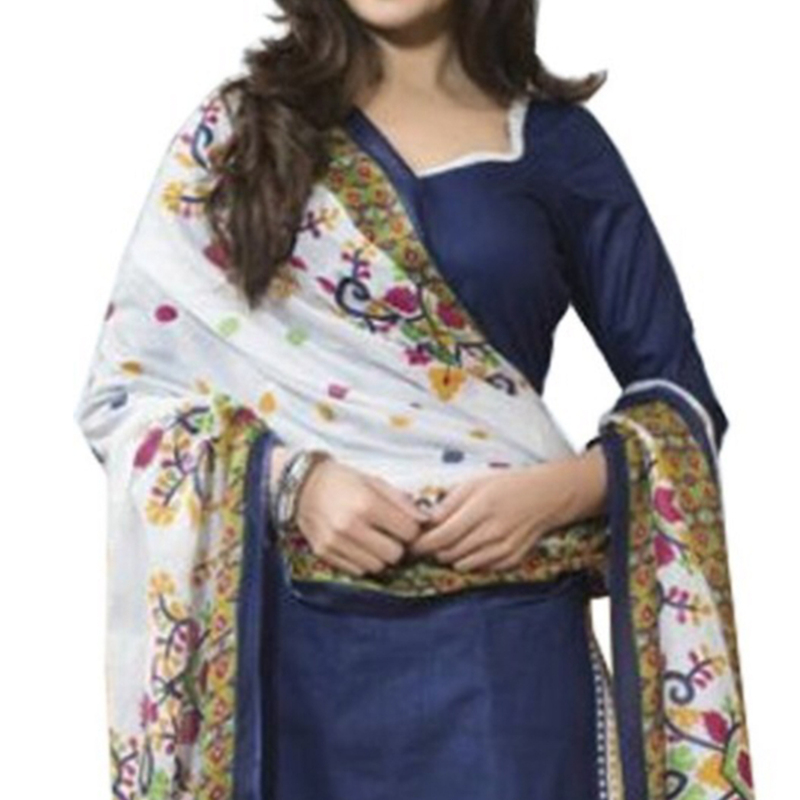 Get a trendy look for your casual outing wearing this navy blue colored dress material. The top is made of french crepe blend fabric which is stylized with elegant print work. 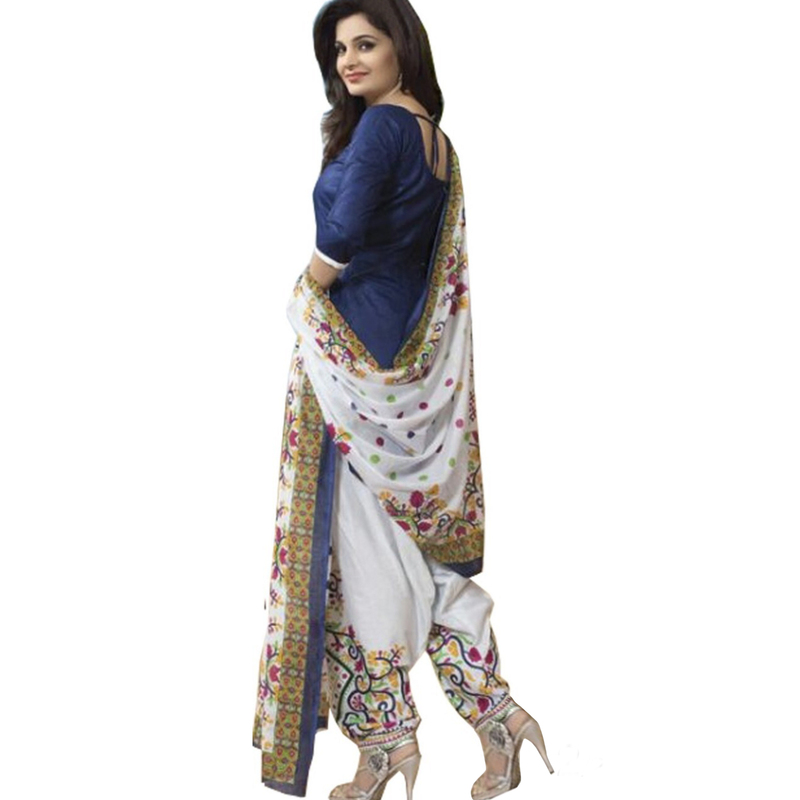 Available with french crepe bottom and chiffon dupatta complimenting the attire. 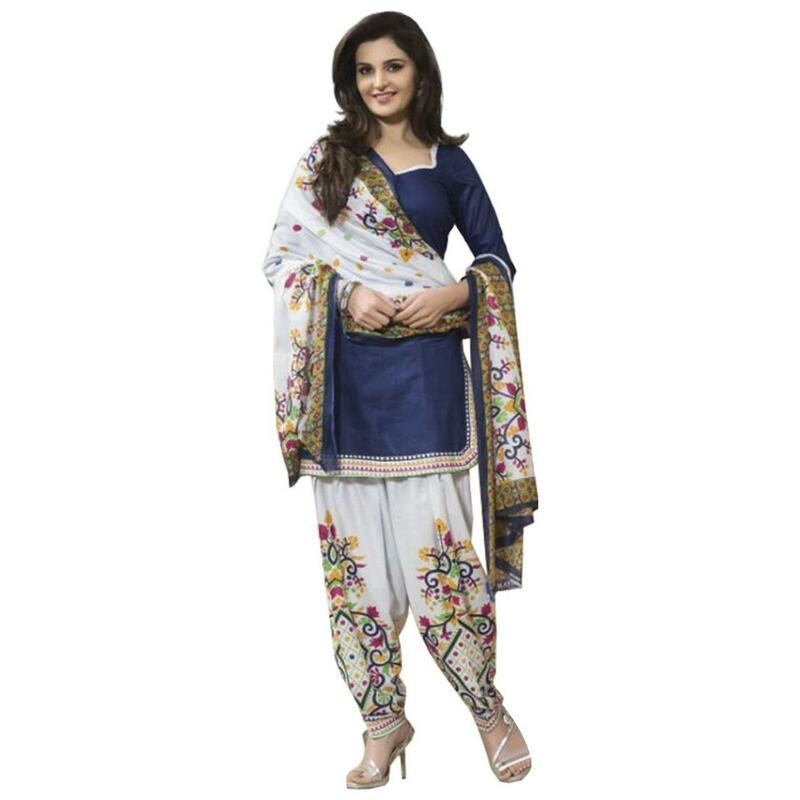 Get this suit stitched into a salwar, churidar or pant style suit and flaunt your stylish look and wear it for your upcoming family parties, weekend get-together, casual wear, office wear and kitty parties.Team this with a pair of matching earrings and heels for the perfect look. Buy this dress material now before it is sold out. Note:- The actual product may differ slightly in color and design from the one illustrated in the images.